A few weeks ago, I was listening to a spiritual talk on Radio Nepal. The Pundit who was giving the talk was saying how our mind is exactly like a monkey: always restless and impatient. Yes, it is absolutely true. It’s often very difficult to control our mind. The pundit was talking about how people usually tame monkeys although they are the most mischievous and restless creatures on Earth. Likewise, we can also train our mind in a similar fashion and gradually bring it under control. What the monkey-trainers usually do is that they first chain the monkey with a long rope that can allow the monkey to run and jump within certain space. The monkey would initially feel restrained and would try to go beyond what is allowed by the rope, but gradually it would get accustomed to living comfortably within the given space. Then the trainer would shorten the rope by a few meters squeezing the boundary for the monkey to move freely. When the monkey once again begins to feel comfortable, the trainer would continue to shorten the rope until the monkey doesn’t resist being chained within a small space. 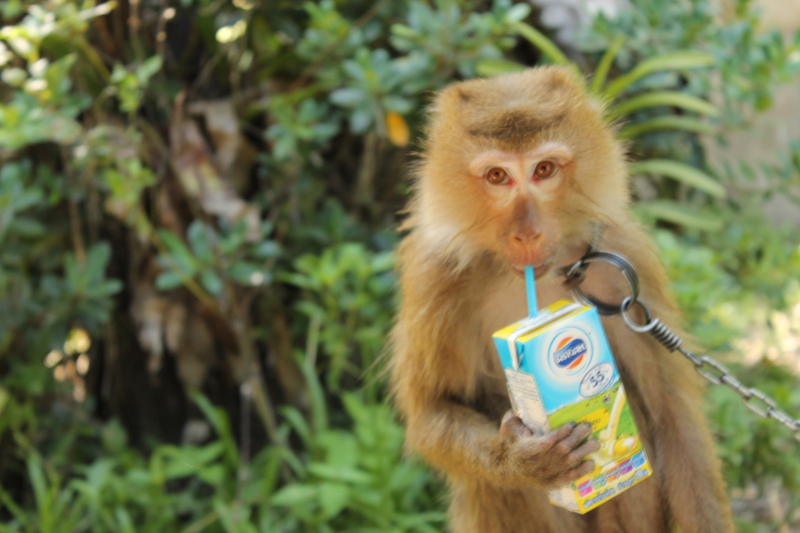 This is how the monkeys are trained and tamed. At last, they are ready to listen to whatever their owners tell them. The monkeys who play tricks and dance during circus shows are the products of this kind of training. Now what can we learn from this example? If we carefully analyze it, we would realize that our mind is also like a monkey. There’s no boundary for it to wander about. But if we chain it and gradually limit its boundary by shortening the rope, we can definitely tame it and subdue it to become our real servant. But this should be a gradual process. This is exactly what meditation is all about. By practicing meditation, people try to minimize the restless movements of our mind and bring it to focus on what is more important for our physical and spiritual life. Initially, it’s difficult to do this as any other new adventure, but people who have managed to do it successfully say it’s a thrilling and rewarding experience. What I have understood is that nothing great can be achieved at one go. It should be a gradual process and if we really remain determined, we can definitely be the master of our own life. I am thankful to my daughter Anju Rai for helping me choose the pictures from Google. Very true sir.the mind is even worse than a monkey in terms of mischievousness , it is jumpy, slippery, n tricky. 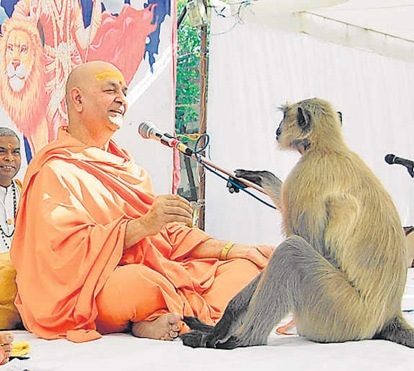 N I too believe tat meditation is the greatest technique to handle this invisible monkey.